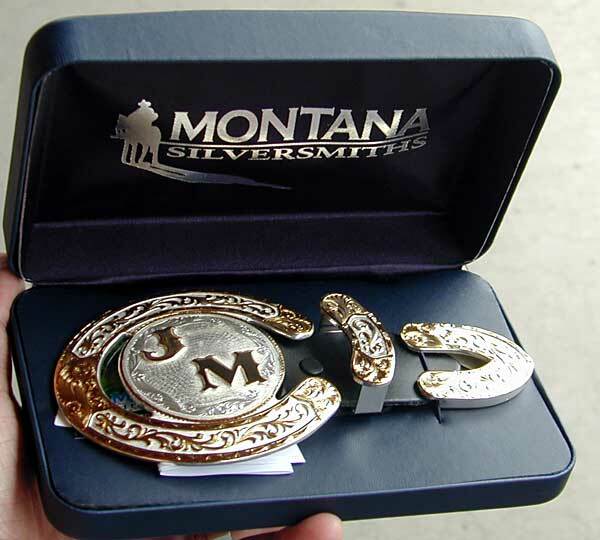 Rodeo trophy buckle 1953BE by Montana Silversmiths. 3¾" x 4 5/8". 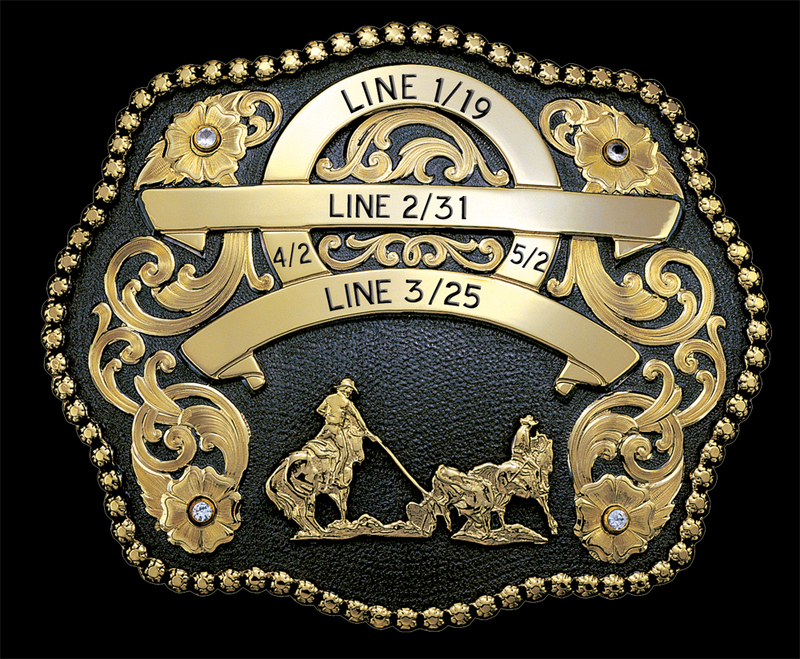 Durable, high quality black nickel plate buckle with gold ribbons and filigree. Black nickel finish can require extra production days, please allow. 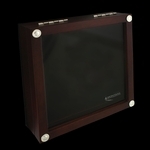 Displays any figure along with three ribbons of engraving and your choice of four stones. Shown with Saddle Bronc figure #626.